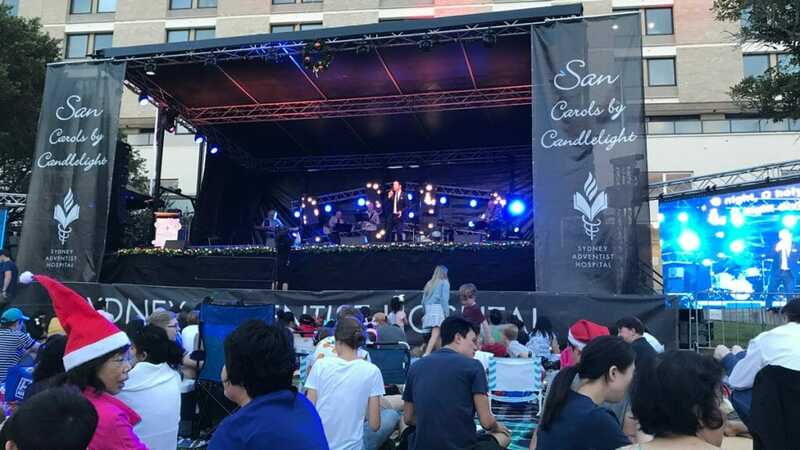 Members of Wahroonga Seventh-day Adventist Church, in New South Wales, Australia, conducted a community health outreach event on Sunday, December 9, 2018, coinciding with this year’s Sydney Adventist Hospital carols service. Wahroonga church is located across the street from Sydney Adventist Hospital. Recognizing the popularity of the carols — a service that bring hundreds of people past the church’s front door every year — members decided this was as an ideal opportunity to hold a health expo based on the NEWSTART model (nutrition, exercise, water, sunlight, temperance, air, rest, and trust). Participants in the expo, after filling out a health questionnaire, had their height, weight, lung capacity, and blood pressure measured, before doing a three-minute step-up exercise and having their recovery heart rate tested. They also received a short massage. Data from the questionnaire were entered into a computer program, which calculated the participant’s health age and what that age could be if they improved in some areas of their life. A health professional gave a consultation based on the results. Doedie Fatt, one of the event organizers, said the health expo saw 49 participants along with many more who inquired about what they were doing. While the health expo was taking place outside the church, the sanctuary was open so that people could go inside and look around, and guests were given an invitation to pray with a pastor if they wished. Fatt gave thanks to the 34 volunteers involved in running the expo, including members of Waitara church, which also helped with the loan of some equipment for the event. “At this stage, we don’t know when we will run another expo, but we are looking at potentially some local markets and other community events,” Fatt said.